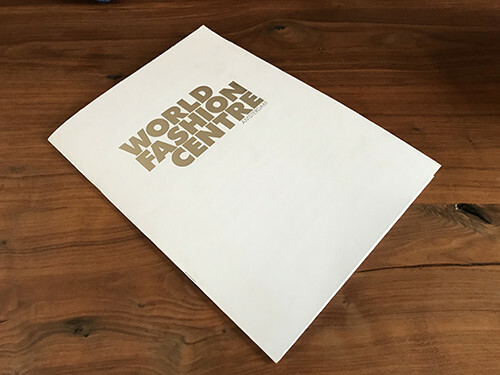 The World Fashion Centre (WFC) is the meeting place par excellence for the national and international fashion industry. Companies outside the fashion industry have also found their way to the WFC. No other fashion centre in Europe has the allure of the WFC, where leading fashion brands, retailers, and wholesalers meet each other to view and discuss the latest fashion trends and of course do business. The remarkable architectural towers are the ‘Bricks’ of the WFC, and the companies based here that inspire creativity and a sense of community are its ‘Spirit’. The WFC management team is highly focused on ensuring that the location continues to remain an inspiring and attractive location for tenants as well as visitors. Our professionalism, dedication to service, expertise, and creativity are the best guarantee for optimum collaboration with the tenants. We take care of our tenants’ needs and wishes so that they can focus on their core business activities. In addition, we provide comprehensive services to our visitors to ensure that they enjoy their visit and return as frequently as possible. We invest a great deal of time and energy on welcoming our guests, providing the exclusive WFC access pass, and related services and facilities in order to ensure that visitors enjoy their visit to the fullest. Marianne van der Linden-Peetsold, algemeen directeur WFC.